Which company is not dependent on digital and widely networked information systems today? It is too easy to penetrate from the outside and harm the company. 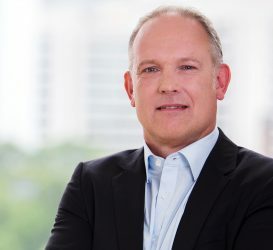 Whoever deals with digitisation strategies in times of industry 4.0 cannot avoid a functioning information security management system (ISMS). IT security as part of an ISMS is becoming more relevant than ever. Protecting oneself from cyber attacks and access becomes a priority for companies. IT systems must function in order to remain competitive and sustainable. Individual sectors, such as the energy industry, are already legally obliged to introduce an ISMS. 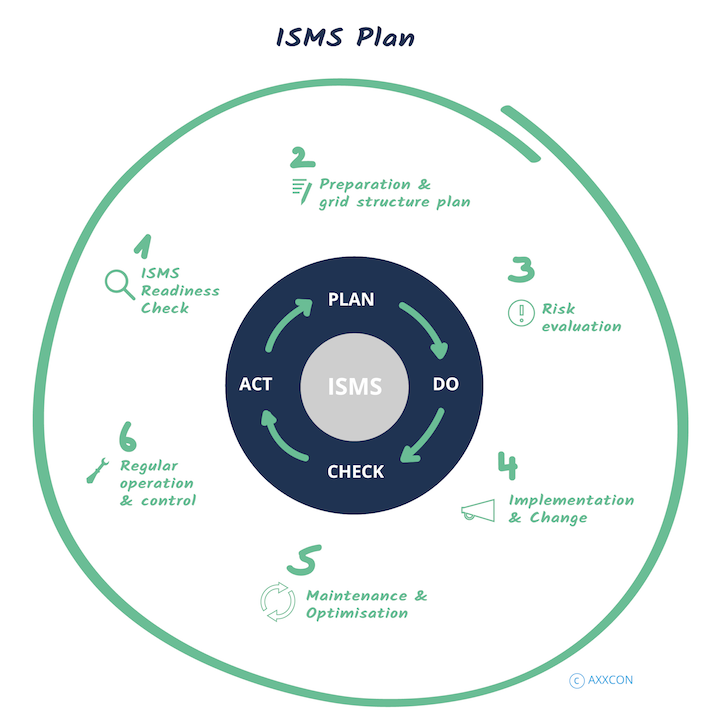 ISMS stands for Information Security Management System. The aim of an ISMS is to protect the company with regard to the availability, integrity and confidentiality of all information. Information security includes the terms data protection, data security, IT security, computer and network security. With the help of an ISMS, IT risks are to be minimised or prevented through better transparency and control. The ISMS defines rules and measures for controlling and optimizing information security and IT security in the company. New structures and processes often affect entire companies and their corporate cultures. The same applies to the introduction of an ISMS. Here, too, new processes are defined that require employees to be made aware of the need for information and data security. In this way you achieve acceptance and willingness to support the topic. Raising risk awareness, creating transparency, involving the affected specialist departments and setting a clear direction - these are essential success factors. The first step in an ISMS project is the appointment of an IT security officer. It supports you in the ISO 27001/27002-compliant introduction of an information security management system. The tasks include compliance with legal and current framework conditions, coordination of areas of responsibility and communication around the project. Past ISMS projects have repeatedly shown that ISMS activities and day-to-day business must be strictly separated. Create project capacities and clear work tasks for the responsible employees. We divide information security projects into six independent phases. The modular design has the advantage that the phases can be processed separately. This gives our customers flexibility in integrating internal and external resources. A plus if internal capacities or the know-how for individual steps are missing. In the first phase we determine the certification maturity of your company. Together with our customer we create an overview of the process landscape and required documents. Taking industry-specific standards into account, we define tasks and define responsibilities. Now the scope is determined. These include the business areas that are fundamental to the company's ability to function. All applications and systems that could be affected by attacks and endanger corporate tasks are summarised and visualised in a network structure plan. In the second step, the framework and process of the implementation strategy of an ISMS are defined. The third phase identifies the information assets to be protected. This also includes a risk assessment. Possible effects are defined in order to create a specific catalogue of measures in the next step. Now comes the implementation. In many cases it fails because of the often insufficiently developed safety awareness of the employees. One of the most important precautions is to sharpen this in advance and to prepare employees for new tasks. Don't forget: the documentation of all implemented measures. In this way, necessary optimizations can also be carried out retrospectively. Successful implementation is only complete when continuous operation of the ISMS processes can be ensured. Scheduled resources must be permanently available. Further potential for improvement can be identified during initialization and adjusted during regular operation. Regular checks are necessary to optimise ISMS processes and to keep them up-to-date with regard to guidelines. If necessary, protection goals, risks, follow-up scenarios, measures and resources must be redefined and planned. AXXCON advises and supports companies in the ISO-compliant introduction of an information security management system. Our expertise in information technology and digitisation - combined with relevant industry experience of our consultants - make AXXCON a valuable partner for ISMS projects. We can draw synergies from our current projects. We know optimisation potentials and promise a high degree of project security and time savings. If required, we will provide you with a certified IT security officer.